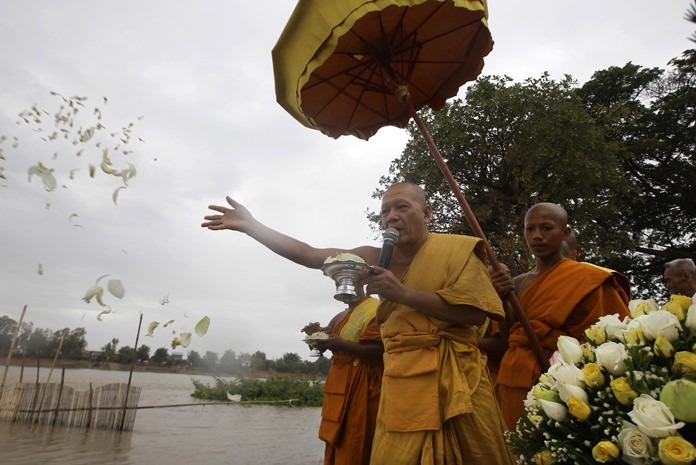 Kean Khlang, Cambodia (AP) – People in a Cambodian village held a religious ceremony last week to ask spirits to help them recover Buddhist statues that their ancestors said were buried in a nearby riverbed. Buddhist monks joined about 500 villagers in the ceremony by the Tonle Sap River, where divers have recovered eight small statues of Buddha and say they spotted another that is about 2 meters tall. They asked the spirits of water and earth to help them raise any statues still buried as much as 20 meters underwater. 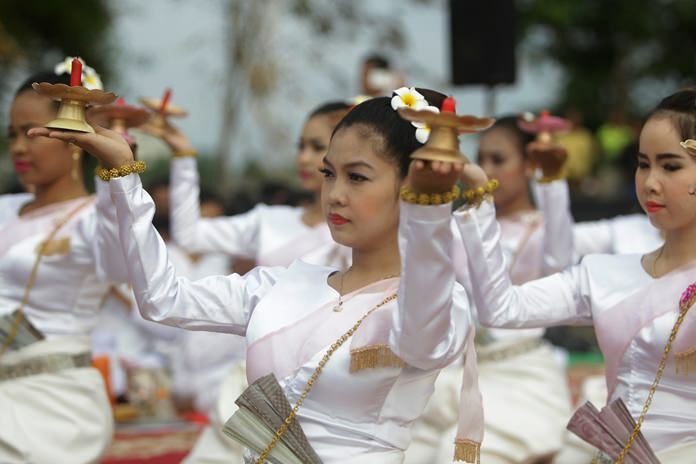 Ceremony organizers said stories passed down by villagers’ ancestors tell of the statues being buried in the riverbed hundreds of years ago to hide them from marauders from other areas of Cambodia or neighboring Thailand. “Not only me, but several villagers were told by our ancestors that those statues were buried several hundred years ago under the river opposite the site where we held the ceremony,” said Sieng Chan Heng, one of the organizers. She said that when divers last month collected two small statues from the river, they also spotted the larger one, but were unable to bring it up. She explained that some villagers believed they were unable to recover it because they had not held the proper religious ceremony, which is Hindu in origin, a reflection of the diverse cultural influences in Cambodia. “That is why today we did this ceremony and hope that the spirits of the water and earth that control the statue would pity us and grant us all those buried statues,” she said. Senior Buddhist monk Duong Phong, who led the ceremony, said six more statues had since been recovered, and that divers also found clay objects used in everyday life presumed to be from the same era as the statues. All the materials are being kept at his temple, and the diving team of about a dozen people will continue to search. The village, 40 kilometers north of Phnom Penh, is in an area that historians refer to as Longvek, the capital of ancient Cambodia after the Siamese sacked Angkor in the 15th century. The statues are believed to date from the Longvek kingdom. It is not unusual for valuable or sacred objects to be hidden in times of crisis, a practice that continued even in the 1970s, when the communist Khmer Rouge ruled Cambodia. Rumors of valuable buried objects sometimes set off frenzied treasure hunts.